The design for the new Clore Learning Centre revolves around the idea of Discovery. 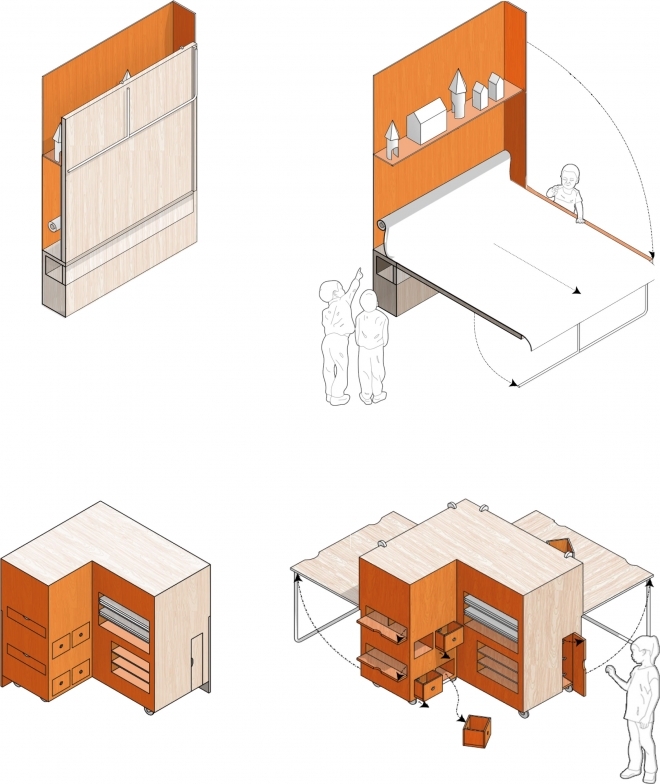 The proposal focuses on the duality of the space to at first form a light and inviting space that can accommodate a host of unanticipated and general events, hiding its special joys within. 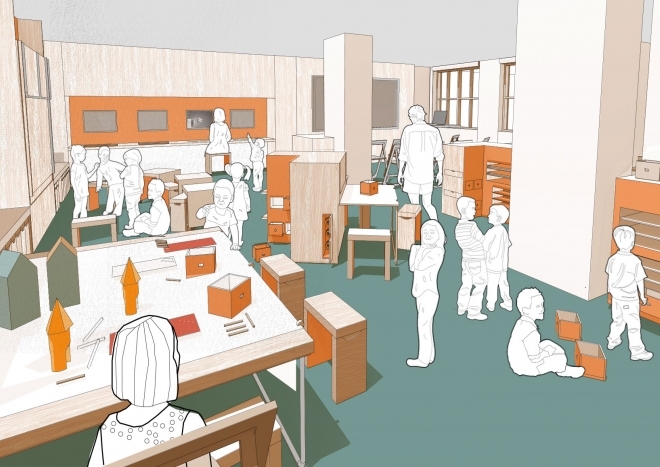 When the time comes, and the excited school children have hung up their coats, they begin to discover the space as tables appear from the walls, stools emerge from window seats and mobile treasure chests full of materials and stationery roll away from columns. The adaptable system allows for maximum flexibility and freedom for different events to unfold in a space with subtle materials forming a backdrop to the colourful moments that are revealed where inspirational previous work is on show. Outside, The Clore Showcase employs similar but more refined moves. Static digital displays are framed by reconfigurable systems and cupboards below hide mobile plinths that can be rolled into position to display work. The Clore Study Space, presents a calm space where the Institute’s finer documents can be poured over in detail as an individual or as part of a group. Lastly, The Clore Terrace has a new demountable balustrade and is filled with much needed plants to bring the space to life. 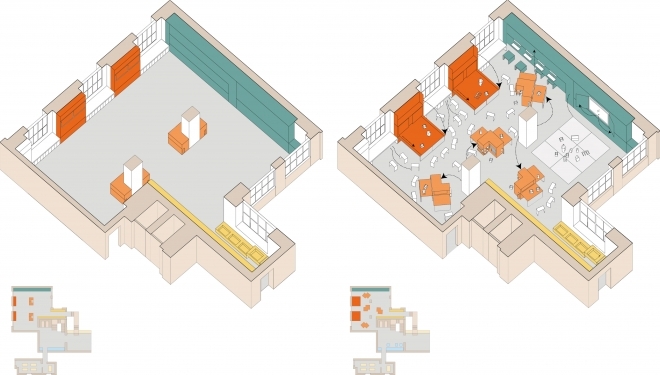 The proposal allows users to discover architecture as they discover and engage with the space in an ever changing and playful learning environment.